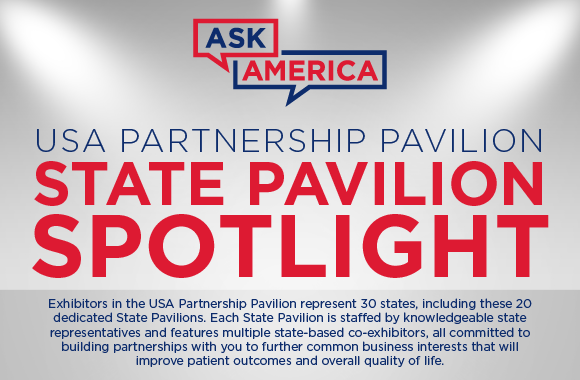 ASK AMERICA in the USA Partnership Pavilion at the Farnborough International Airshow 2018. Among the many reasons to visit the Farnborough Airshow in the UK this summer, the USA Partnership Pavilion features America’s most innovative partners, products, equipment and services. Visit on-site in Halls 2, 3, 4 and Chalet Row C, to meet 250-plus American suppliers representing 30 states — including 20 state pavilions — who can help you gain a competitive advantage in any market sector anywhere in the world. 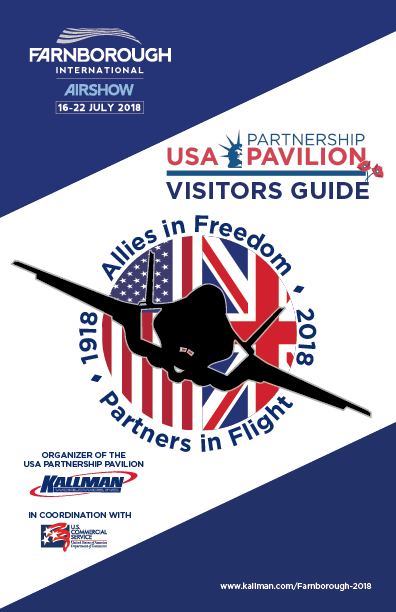 Come back often to check the latest industry headlines from our media partners — and join the #USPavilion conversation at #FIA2018 with our live Twitter feed. Advanced Ceramic Fibers, LLC (ACF) is transforming the advanced materials marketplace by producing new composites best suited for extreme environments. Fi-Bar uses superior performance characteristics, scalability, low cost, and single-step production process, allowing a platform for an entirely new approach to carbon fiber composite products. ACF is developing novel and affordable metallic carbide reinforcing fibers — pioneering the path to an entirely new generation of fiber reinforced ceramic, metal and polymer matrix composites. Fi-Bar offers the highest temperature and strength performance at the lowest cost-point of any competing silicon carbide fiber reinforcement material. ACF's novel, low-cost, Fi-Bar reinforcing fiber is a disruptive, multiple use, innovation that works in metals, ceramics and polymers just like "re-bar" is used in concrete. It's affordability, strength, high-temperature capability and corrosion resistance enables the design of products never before possible because of the performance limitations of existing materials. Fi-Bar can be incorporated into a variety of matrices, making composites 300-500% stronger and one-third lighter, improving its resistance to creep, oxidation, and abrasion. AERO Specialties Introduces New Aircraft Push-back Technology Avoids Costly Damage to Landing Gear. SiPsHitch affords never-before-seen levels of protection in towbar operations for aircraft. Distractions, unfamiliarity with aircraft type and lack of proper training are just a few things that can lead to expensive aircraft towing incidents. Our patented SiPsHitch Linear force monitoring system will alert operators to potential over-stress situations BEFORE they cause nose gear damage. SiPsHitch affords never-before-seen levels of protection in towbar push-pull operations. Affordable and easily installed, SiPsHitch will fit all existing towbar style tractors. Why wait for disaster, eliminate it with SiPsHitch! Learn more. AeroLEDs has redefined the expectations how aircraft lighting will be judged. AeroLEDs high quality LED landing, taxi, and navigation lights were designed to replace legacy lighting products which consumes less power, produces substantially more light output and last significantly longer. AeroLEDs continues to increase the benchmark for high performance LED lights and is outshining and replacing traditional lighting for safer and more reliable flying. Aeroprobe's Pegasus and Destiny Micro Air Data Computers (µADCs) have achieved US Military MIL-STD 810G and 461F and FAA DO-160F temperature, vibration, and shock certifications. µADCs are part of Aeroprobe's Micro Air Data System (µADS), a fully-integrated and mobile solution for complex air data measurements that provides data in real time for both manned and unmanned vehicles. Read more here. AMS adds new capabilities in 2018, moving into larger building to increase work production capacity. The AS-9110 certified repair station is expanding its hydraulic, pneumatics and electronics capabilities with new test equipment and multiple work stations throughout the new facility. The new capabilities support existing platforms (e.g. F-16, UH-60) with greater hydraulic flow capacity and larger generator wattage and control capabilities. Support for Central Air Data Computer (CADC) to include repair and overhaul capabilities for part numbers 2100756-3-1 and 948312-6-1 for the F-5 E/F aircraft’s CADC. Earning Merit Status for Nadcap accreditation is a fundamental proof of AIM Aerospace’s commitment to quality and excellence, demonstrating the company’s proficiency in the processing of structural carbon fiber composites for its key Aerospace customers. The Orange City, IA facility has held Nadcap accreditation since 2008. Having demonstrated ongoing commitment to quality by satisfying customer requirements and industry specifications, the Nadcap composites group determined that AIM Aerospace earned Merit Status. Read more here. AIM Aerospace announces the audit completion and achievement of AS9100 Rev. D Certification. The certification signifies three of its facilities, located in Renton, Sumner and Auburn, WA, comply with the new requirements of the AS9100 Rev D quality management system. AIM had been certified to AS9100 Rev C previously, and is proud of this new certification. Revision D added several requirements to ensure that companies have robust and sustainable processes to consistently deliver quality products on-time, while mitigating risk. AIM Aerospace President and CEO Daniele Cagnatel plans to modernize the company’s facilities and introduce carbon fiber technology intelligent automation this year to strengthen its position as a leading aerospace manufacturer. The Renton, WA based company has been building airline components for more than 30 years. AIM Aerospace specialized in manufactured composite products including composite ducting, substructural and interior parts for the commercial aerospace industry. Read more here. AQYR SATCOM Terminals are used by U.S. and Global militaries for reliable Tactical communications. AQYR Products have a reputation for being Lightweight, easily setup, ease of use and highly reliable. AQYR is a land terminal provider for Tactical SATCOM Solutions, used by Military & Defense, Public Sector, Foreign Governments, Commercial & Enterprise markets. AQYR designs and manufactures portable GBS and 2-way Ku/Ka-band full auto-acquisition ground terminals. These intuitive, patented, auto-positioners came from our 10 years’ experience as the Tactical SATCOM Division of Windmill International, Inc. Our terminals carry a Dept. of State commodity jurisdiction eliminating ITAR issues. Fluid Filtration, precision, high strength metal filters for maximum performance. ARCOR Laser Services is a premiere provider of Contract Manufacturing Services specializing in Laser Processing such as; precision welding, cutting, drilling, Swiss turn machining and laser system integration. Our services focus on high integrity, high precision components for various sectors of the Aerospace and Military Industries. Don Christensen, VP Business Dev. 4 Kenney Roberts Memorial Dr.
Ascent’s support for the F-35 included assembly jigs, work stands and other production tools. Representing the top 2% of LMCO’s 1,400 suppliers in 2017, with 98% quality and 98% delivery, it was the third such honor for Ascent in four years. The award ceremony concluded with a tour of Ascent’s new robotic demo cell and a group photo at a flexible wing holding fixture, slated to serve on the F-35 line in Fort Worth. Read more here. Aviation Specialties Unlimited, (ASU) received notice from European Aviation Safety Association that they have received a supplemental type certificate (STC) on the AgustaWestland AW139. The AW/AB139 was modified for Airgreen Italy for use in HEMS operations as well as firefighting and civil protection. With the addition of the AW139, ASU now holds 4 STCs with EASA and 64 domestically held STCs. Barron Industries has been awarded a contract to produce precision cast and machined components for the GE9X high-bypass turbofan aircraft engine under development by GE Aviation for the Boeing 777X. In response to market demand for safety-critical components, Barron recently expanded its production capacity for thin walled aluminum and stainless steel castings and CNC machining. Based in Oxford, Michigan since 1983, Barron Industries is a unique full-service manufacturer of ferrous and non-ferrous investment castings. BMT Additive is a metal additive manufacturing company focusing on the aerospace industry. Where BMT Aerospace is a reference in the aerospace market for gears, gearboxes and complex gear assemblies, BMT Additive is specialized in 3D metal printing. We offer (re)design, printing and finishing processes, with an initial focus on Titanium printing, based on EBM Technology. We have a strong focus on tooling/fixtures and prototyping to grow towards a certified additive manufacturing company in aerospace and to become a respected supplier for the OEM’s in the aerospace market. USA Acquisition enhances global footprint for UK based aero engines components manufacturer. Following the recent acquisition and integration of AeroCision LLC, Bromford Industries (Bromford), a leading supplier of complex, close tolerance aero engine components, looks forward to a bright future leveraging a truly global presence. AeroCision provides Bromford with additional machining capabilities, extends Bromford’s geographic presence into the US and India increasing our content on targeted next generation engine platforms. CEO, Gary Lowe, commented: “The acquisition further enhances our ability to develop and grow new strategic relationships. Consolidated Turbine Specialists LLC (CTS) is expanding & celebrating new location. US Senator Jim Inhofe and CTS owner, Johnny Grant, shake hands after Senator Inhofe’s speech. Bristow, Okla. - Consolidated Turbine Specialists, (CTS) a Bristow-based company that repairs and overhauls Pratt & Whitney PT6A/PT6T/PW100 turbine engines, is celebrating its expansion and new location at the Bristow Airport, at their 16,000 square-foot facility located 250 feet from the runway at Jones Memorial Airport in Bristow, Oklahoma. Portland (OR), San Francisco and San Jose (CA), Los Angeles International and Santa Ana/Orange County (CA), San Diego, Phoenix, Las Vegas and Denver. Service is planned by Alaska, United and Southwest Airlines. County leaders collaborate on proposals for tax incentives of $275/new job. Just one week after the Seattle City Council announced its unanimous decision to introduce a head tax of $275 on for-profit companies that gross more than $20 million and are located in the city, Pierce County has countered with a plan of its own: We’ll give you $275 per employee. Learn more here. North Carolina Secretary of Commerce Anthony M. Copeland will be part of a delegation of economic development partners promoting the state's aviation and aerospace leadership at Farnborough 2018. Global accounting firm PwC ranks North Carolina as the fourth most-attractive state in the U.S. for aerospace manufacturing. The Economic Development Partnership of North Carolina and several strong state aviation clusters will be represented at the show’s North Carolina booth, including Union County near Charlotte; Greensboro and Piedmont-Triad International Airport, where the innovative HondaJet is made; and the NC Global TransPark, where Spirit AeroSystems is expanding. EulessAero an Aereos Company Attends Farnborough Airshow 2018 at the Texas Pavilion Booth. Aereos, experts in component MRO, FAA approved DER repairs and precision aerospace manufacturing. reliable expert family of companies: EulessAero, ACP, and Atlas Aerospace. We are passionate and driven to retain the reputation and trust we have built with our customers for proven reliability. The PT-4500 riveters are a perfect addition to Aircraft OEM's or Line Maintenance FBO's. The PT-4500 riveter is available in two versions. The FSI version installs CherryMax, Olympic-lok, and Huck Clinch blind rivets. The PT-4500H version in set up to accept Huck style pulling heads both straight and offset type. The PT-4500H model can also install NAS, GP and LGP lockbolts up to 1/4" diameter. See more product details here. Visit booth 2492 in Hall 2 for a demonstration. Hexadyne has formed strategic partnership with Wall Colmonoy, leading materials engineering group & OEM of the F-15 Primary & Secondary Heat Exchangers. Coupled with Sojitz Aerospace Corporation, Hexadyne can support Japan Air Self Defense Force’s F-15 Fighters providing high quality Heat Exchangers approved by US Air Force & Boeing. This provision enables JASDF to achieve interoperability with US Air Force at a lower total cost of ownership & with a trusted team of proven performers. Learn more here. Idaho is uniquely positioned for research, development, and manufacturing aerospace products. With three research universities, a national laboratory, and one of a handful of Boeing-recognized training programs, Idaho has the proximity, terrain, and expertise for your business to succeed. Idaho’s aerospace industry has grown rapidly thanks to businesses spanning aircraft assembly, maintenance, parts/equipment manufacturing, and defense articles while industries like advanced manufacturing, specifically machinery, equipment, metal, plastics, electrical equipment, and component manufacturing, are growing exponentially over the next 10 years. Over 160 aerospace specific businesses in Idaho employing more than 2,300 individuals with a projected growth rate of 35% for the next 10 years. Visit Idaho in Hall 2 #2186. With experience in Engineering services, Manufacturing, Repair & Overhaul, Government Contracts and Distributorships, MAC is uniquely qualified to meet your requirement. MAC’s experienced team of staff focuses on finding the best quality spare parts and components at the best price. Our distributorship relationships assist in this endeavor. With relationships with the following organizations, MAC can meet almost any requirement. Astronics Test Systems InterConnect Wiring & Cable NOVA Power Solutions Phoenix Products. Makino 5-axis horizontal machining centers are specifically designed for high-productivity machining of complex aluminum monolithic parts for aerospace parts manufacturing. Makino uniquely integrates spindle speed and power with a machine platform that provides rapid precision-contouring capability while maximizing the percentage of the total time the spindle is cutting. Makino has a proprietary industry-leading spindle design to ensure high metal-removal rates which can also be configured with an automatic pallet transfer and storage system. Visit www.Makino.com. A legacy of innovation and evolved control system technologies for the Aerospace & Defense industry. Marotta Controls celebrates 75 years of success in supporting the global aerospace and defense industry with high-performance controls for mission-critical systems. A consistent presence on the most significant milestones in aviation history, Marotta’s advanced technologies and innovative systems have earned the family-owned, small business its reputation as a world-class control solutions provider. Marotta continues to leverage its 75-year heritage to develop the most advanced and sophisticated control system technologies of today. Read more here. The MEDC is leading a delegation of six Michigan companies to meet with prospective partners, distributors, and customers to increase export opportunities. Michigan is committed to growing the aerospace industry globally by leveraging our aerospace supply chain of nearly 700 companies to add capacity to the global manufacturing network. As an R&D powerhouse, Michigan has significant design and engineering support that are developing and leveraging new technologies across industries to address immediate industry challenges. Facilitated $6.7 Billion in contracts and purchase orders between global companies and qualified Michigan-based companies. Created or retained more than 32,500 Michigan jobs. Held 120 Matchmaking engagements including: national and international buyer procurement tours, in-state and national buyer/supplier facilities visits, supplier matchmaking summits, virtual matchmakers and more. Together, these have hosted nearly 20,000 attendees. 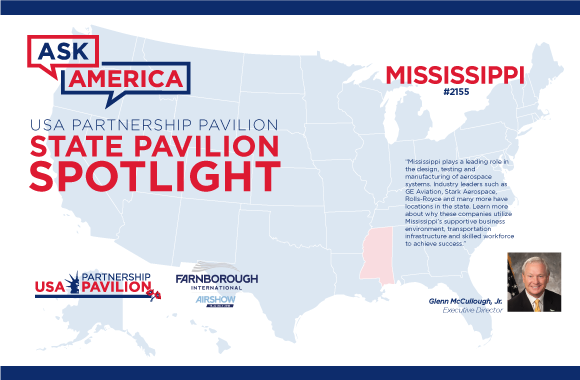 Engaged more than global purchasers, representing some of the most respected brands in the world including Boeing, the Detroit Three Automakers, Google, Walmart and more. Serviced 5,600+ Michigan companies by connecting them to new opportunities. Collected nearly 7,000 immediately actionable procurement needs. Scheduled 9,000+ Private Buyer/Supplier meetings between global and in-state purchasers and qualified Michigan companies. MW Aerospace Solutions designs and manufactures engineered precision metal components & assemblies. We understand our customers’ application needs and deliver the best manufacturing solutions. MW Aerospace Solutions is a trusted supplier to Aerospace and Defense Tier 1 and OEM’s for more than 60 years. Specializing in designing and manufacturing precision metal components for aerospace applications including components for engines, flight controls, propulsion, landing gear, interiors, and more. The brands comprising this group include Atlantic Spring, Accurate Screw Machine, BellowsTech, HELI-CAL Products and Servometer, - specializing in springs, stampings, fasteners, couplings, flexures, machined springs, edge-welded and electrodeposited bellows and assemblies. With over 50 years experience in the distribution of composite materials, Northern Composites launched its own full line of vacuum bagging consumables. Currently only available in the USA, Northern Composites is at FIA 2018 to explore distribution possibilities in Europe. Antennas that are extremely compact and lightweight with short lead times. Optisys is an antenna design company that specializes in the use of metal 3D printing. We design and manufacture highly integrated antenna structures that achieve the lightest weight and smallest volume physically possible by printing metal only where absolutely required. Mass customization allows Optisys to provide custom antenna solutions at commercial times and pricing. Scaling, mixing, and matching of antenna subcomponents to develop modular product solutions. The Port of Port Angeles Just Keeps on Growing! 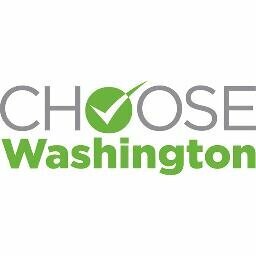 Be a part of the Great Pacific NW in Washington State. •The Composites Campus, a global force in recycled carbon fiber products. •The “1010” building, tenant-ready with 93,550 SQ. FT. of manufacturing/office space adjacent to the airstrip. •Workforce training opportunities and a local workforce ready to roll up its sleeves are available. Projects Unlimited; Your partner in Electronics & Wiring Contract Manufacturing. When Electronics and Wiring are Mission Critical and lives depend on them, Projects Unlimited has the experience and expertise you can depend on. Projects Unlimited is a Contract Manufacturer, or Electronics Manufacturing Services (EMS) provider. We work with your drawings and specifications to assemble the highest quality electronics using precision manufacturing equipment, in-house testing, and world-class workmanship. Solar Atmospheres processed the first FAA Certified structural additive manufactured Ti-6Al-4V parts produced by Norsk Titanium AS destined for installation on a Boeing airplane. The vacuum stress relief was compliant with stringent AMS 2801 and other OEM specifications. Norsk Titanium’s printing technology of these aft galley supports, along with other flight critical components, signals the ancillary cost benefits customers may realize with AM: lead time reduction, lower inventory requirements, and future spare parts continuity assurances. Tamarack Aerospace Group is pleased to announce the expansion of its installation network. Now, in addition to its facility in Sandpoint, ID, Tamarack’s revolutionary Active Winglets can be installed at the following service centers: Duncan Aviation, Lincoln, NE, Eagle Aviation, West Columbia, SC, Northeast Air, Portland ME, and Western Aircraft, Boise, ID. Active Winglets for the Cessna C525, C525A & C525B are approved for installation by the FAA, EASA, and TCCA, ANAC. KAI Selects VACCO Industries to Deliver Aerial Refueling Receptacles for KF-X Fighter Jet. VACCO Industries has been selected by Korea Aerospace Industries (KAI) to provide aerial refueling receptacles for its KF-X program. The contract includes the development and production of hardware to support prototype aircraft, ground based testing support, logistics, and training. The KF-X program seeks to develop a multi-role fixed-wing fighter that will replace South Korea’s aging fleet of F-4 and F-5 aircraft. Washington State is the best, most competitive, location in the U.S. for aerospace design and manufacturing, according to a comprehensive, independent report released June 6, 2018. The Teal Group, led by VP of Analysis Richard Aboulafia, and Olympic Analytics conducted the Aerospace Competitive Economics Study (Teal Report), an analysis of the competitive advantages and disadvantages for aerospace manufacturing in all 50 states and the District of Columbia. Read the Teal Report here. Read the Department of Commerce press release here. Wilder Systems mobile robots save aircraft manufacturers time and money with low capex thanks to innovative Robots-as-a-Service operating model.